Cash Register Store - Buy Quality Cash Registers Online at Low Costs. Brands by Casio, Sharp, Samsung, and TEC. Sharp XE-A302 cash register for only $279. 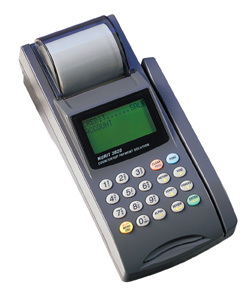 Features an alphanumeric thermal printer, spill-resistant keyboard and FREE programming software. Get the compact Sharp XE-A20S cash register for only $199! Thermal printer, FREE PC programming software and small 4 bill, 5 coin cash drawer. Save money with the Samsung ER-650SS electronic cash register. The ER-650SS is comparable to scanning registers that cost over $2000 dollars. This package is a complete register with a thermal receipt printer, LCD display, 5 bill 5 coin change till, CCD handheld scanner, & more! Scan up to 14,000 UPC's with full RAM. With SamPOS polling/inventory management software you can upload your sales reports to a PC with multiple built-in customizable reports. Import register data into various software packages like Quickbooks� or Microsoft Excel. Manage your store's inventory and safely store the cash registers PLU file on a PC. Get great options with the Casio TE-2000 cash register for only $399. Full size metal cash drawer, receipt and journal printer, can be configured to a scanner for very LOW cost scanning. Need a cash register with more then one cash drawer? Several models available with multiple money drawers. Check out the Casio TE-7000 model which takes up to 4 drawers. Many online retailers will certify that they support the electronic cash registers they sell, but may charge you for all support that you may need or offer a limited time support program. For a change, when you purchase from us you're qualified for FREE Lifetime tech support on that register. This is how we thank you for purchasing your cash register from us. Click here to bookmark this site for future visits. Bank on saving money as our prices are discounted from the Manufacturers' suggested retail prices. We sell ONLY NEW equipment, not refurbished or used cash registers unless otherwise stated. We welcome and approve Government, Non-Profit and Corporate orders. You can call, fax or email your bids or special requests. International orders are welcomed. Due to our close proximity to Latin America and the Caribbean, we can deliver your cash registers urgently at lower costs to save you money. Cash Register Store offers LOW rates on credit card processing! No Hidden Fees, No Hassles, No Problems!